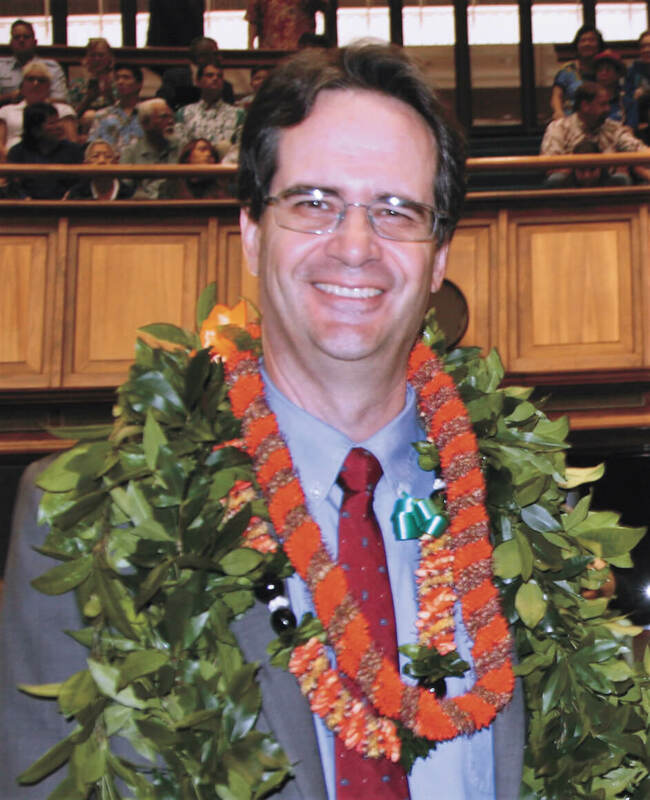 …bill implicates profoundly private issues and calls on Hawai‘i residents to reflect on their personal views and beliefs about life and faith and suffering. I would like to share my comments and concerns with Senate Bill 1129 SD2, relating to Health. The [House Health committee] recommended that this measure be deferred. I believe that this measure should be brought back because a medical aid in dying act that allows a mentally competent and capable adult resident with a medically confirmed terminal disease to voluntarily request a prescription for medication to be self-administered to end their life in a peaceful, humane, and dignified way is necessary. This is because patients deserve to have the right to death with dignity and should be allowed to decide how much pain or suffering they are willing to endure. One thing that should be revised in this bill is the requirement for a patient to have a confirmed prognosis of six or fewer months to live in order to voluntarily request a prescription for medication to be self-administered to end their life. I think that it should be revised to at least twelve or fewer months because this will allow the patient to have more time to rethink their choices and options. In addition, this will assist in making this option an equal opportunity to a larger group of terminally ill patients. Senate Judiciary and Labor Committee Vice-Chair Karl Rhoads introduced SB1129, modeled on the Oregon statute that has been in effect since 1997. Similar laws are now in effect in California, Colorado, Vermont and Washington. The issue in Hawai‘i has been under discussion ever since then-Governor Ben Cayetano convened a blue ribbon panel to consider death with dignity issues. Other bills proposing Medical Aid in Dying legislation were also introduced this session but the Senate Commerce, Consumer Protection and Health (CPH) committee, the first Senate committee assigned the topic, chose to hear SB1129. CPH passed SB1129 in a Senate Draft 1 form which contained a number of amendments and noted “a recent poll [by proponents of medical aid in dying legislation] found that eighty percent of respondents were in favor of this end-of-life care option across all demographics, including ethnicity, age, economic status, and religion.” A recent private poll by Pacific Resource Partnership confirmed that across most island demographics, medical aid in dying is not controversial. Filipinos remain a notable exception. Under the Hawai‘i legislature’s process, a bill must be heard by at least one subject matter committee and voted on by the members in each of the two chambers before the sixty day legislative session ends in early May—getting three readings in the Senate and three readings in the House. The Judiciary and Labor (JDL) Committee took up and adopted additional amendments. After the full Senate debated and voted 22–3 in favor of the Senate Draft 2 version, the House received SB1129 SD2 for further consideration. As the student noted in her email, the seven members of the House Health Committee decided against moving the bill forward this session and no vote was taken on the bill by the full fifty-one member House. A number of the Health Committee members indicated that the Senate Draft 2 was vague, lacked safeguards and was simply not worth spending more time on this year. Obviously, this bill implicates profoundly private issues and calls on Hawai‘i residents to reflect on their personal views and beliefs about life and faith and suffering. This was reflected in much of the testimony submitted to the two State Senate committees considering this measure, and the often emotional and personal debate on the Senate floor. In other words, SB1129 SD2 was a measure considered in a very serious fashion. In the view of the key Senators who worked on the two drafts, the measure included important safeguards against misuse, coercion, or collusion. In reviewing and working on this measure, their aim was to ensure that the bill consistently and clearly set out procedures and safeguards. The bill applies only to persons with a terminal disease and a prognosis of no longer than six months to live. Only patients of sound mind can request use of the medication after diagnosis by their attending provider and a second consulting provider with the specialty to confirm the terminal prognosis of the attending provider. Thus, the patient’s medical prognosis must be confirmed separately by at least two medical professionals who are qualified to treat the patient’s particular terminal disease. 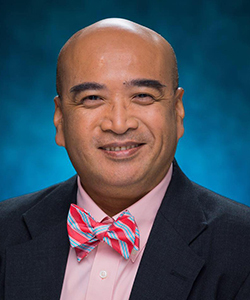 In order to address concerns expressed by JDL committee members that the two Hawai‘i licensed medical professionals—again who would both be qualified and trained to treat the patient’s particular terminal illness– might be acting in concert or otherwise exerting undue influence over each other, Senate Draft 2 added the important safeguard that they have not previously practiced together with respect to the patient’s terminal illness. (section -1, p.3, lines 16–18). Opponents nevertheless continued to express concern that medical diagnoses can vary and anecdotally testified about patients who out-lived their physician’s estimate of their life expectancy. The JDL committee received testimony and information expressing grave misgivings from doctors and others who asserted that the Hippocratic oath barred physicians from participating in what they deemed as euthanasia or assisted suicide. 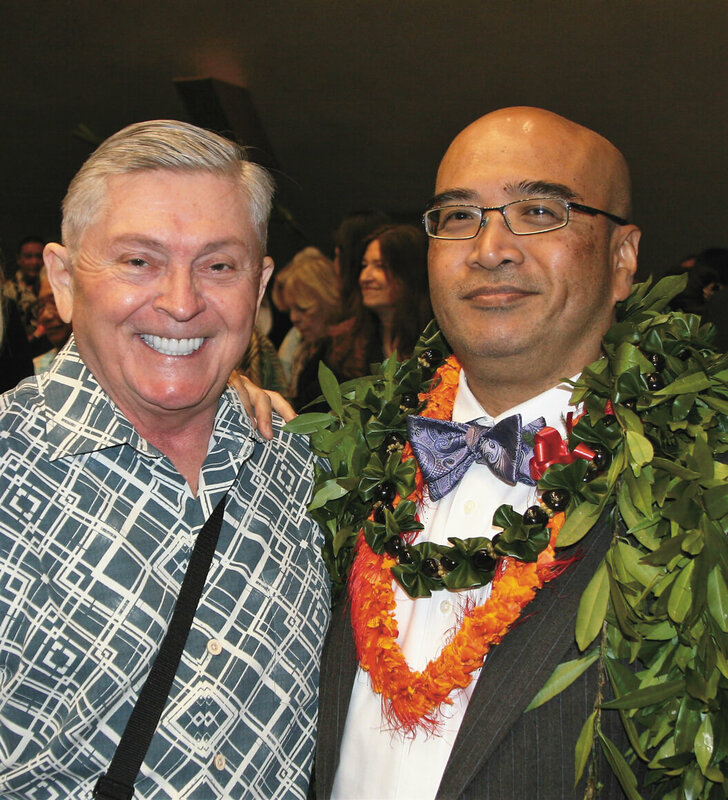 Unlike in past years, the Hawai‘i Medical Association was neutral on the bill. Other opposition came from residents who opposed the legislation from moral and religious standpoints—that all life remains precious and people should not end their lives unnaturally or prematurely. The Senate also heard from people who expressed concerns that this legislation might be used in the future to justify more generalized use of lethal prescriptions on the disabled community and others. The bill under consideration, however, is limited to use by terminal patients with less than six months to live. Senate Draft 2 included safeguards that a qualified patient must be of sound mind and must apply for the medication without coercion by medical providers. SB1129 SD2 prohibits use by patients who are under duress or otherwise suffering from depression or other serious mental challenges. Further, the bill includes safeguards to ensure that the patient is mentally and psychologically able to make an informed decision. If either the attending provider or the second consulting provider believe the patient may be suffering from a psychiatric or psychological disorder, or a depression causing impaired judgment, then Senate Draft 2 provides the patient must be referred to counseling and is explicitly prohibited from receiving life-ending medication while the disorder or depression continues to exist. (section -6, p.11). This measure also required the attending provider to ensure that the patient is making an informed decision, including a requirement that the attending provider explain to the patient that alternatives such as palliative care, hospice care and pain control are available and may be feasible. (section -4, p.8). Gilbert S.C. Keith-Agaran chairs the Senate Judiciary & Labor Committee that worked on Senate Draft 2 of SB1129. To review the drafts and testimony submitted on SB1129 SD2, visit the Hawai‘i legislature Website at link. The attending provider is also required by this bill to recommend that a patient notify next of kin of the patient’s decision to request life-ending medication. (section -8, p.12). The JDL committee also strengthened and updated the safeguards in this measure by further limiting one of the persons who may serve as a witness to a person with no interest in the patient’s estate under any trust document, in addition to no interest under a will or by operation of Hawai‘i’s inheritance law. Finally, the bill includes two statutory waiting periods, and provisions that the patient may rescind a request at any time and is of course under no obligation to take the medication. The bill provides that the attending provider must explicitly remind the patient that he or she always has an opportunity to rescind a request. In sum, this statute presents a legal option to persons of sound mind who wish to deal personally with the final stage of their terminal illness in a manner that affords them comfort and dignity. It is a bill that requires Hawai‘i residents to apply their own conception of the value of life and suffering and even their ultimate ends. Senate Judiciary and Labor Committee Vice-Chair Karl Rhoads, the principal author of SB 1129, during the Opening Day festivities. Sen. Gilbert Keith-Agaran with John Radcliffe, one of the proponents of SB 1129.